Handheld recorders . . . handy – yes – always practical – no. They’re getting more expensive and the instruction manuals are getting bigger. What if you just want to go old school and hit “record” like the good old days of tape recorders? Is it too much to ask? No – it’s not, and some folks have come up with some pretty nifty solutions that don’t require you “train” on how some unique device works (like you don’t have enough to learn with songwriting already! So, what works for a songwriter who just wants to get ideas down, or a guitarist who just needs to figure out what chord they’re playing? I’ve purchased and/or downloaded each of these. I use most of them regularly, with the exception of Four Track since I’ve switched my work flow and make all work tape recordings on my MacBook using Garage Band. #2 Four Track by Sonoma Wire Works ($9.99): Expensive, and don’t really need that much functionality on an iPhone if you’re serious and have a digital recorder already. GigBaby! might be a better first step or “for getting things down” at .99 cents. #3 iTalk Recorder from Griffin Technology (Free): Works great for getting down basic ideas. 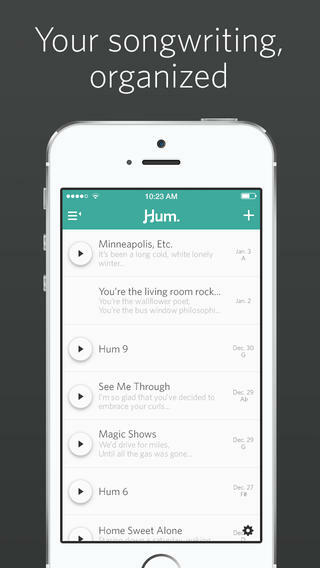 No real need to upgrade to the Premium version until you’ve found more uses for the app. A viable substitute is MicPro – also free. #4 Recorder by Retronyms (Free): iTalk is definitely the better of the two. 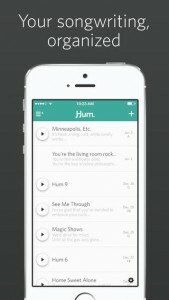 Recorder is OK for voice, but freaks out when there’s music. Too much noise during play back to make it useful for a songwriter. #5 Guitar Toolkit from Agile Partners ($9.99): Well worth the spend. I love this thing – very handy on the go. Tuner for Bass and Guitar (6 or 12 string). Fretboard with tuning settings for alternate tunings. Chord library with strum so you can hear the chord. Metronome included. #6 iLighter by Ubermind ($0.99): Sorry – I’m old school. Waving around a phone screen is just lazy. This one’s not a video loop – the flame moves with the motion of the iPhone. Real enough to light a candy cigarette. Learn to write the songs you've always wanted to TODAY! No spam and no sharing of your information. FREE Tips & How To Guides! SC Named A Top Songwriting Blog! 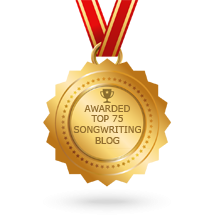 We're #23 on the list of Top 75 songwriting blogs on the web - and you're the reason! Enter your best email address to get blog updates from me.